Take a shot and throw out a line within an easy drive of Minot, where you can find public and private land in fields, forests and wetlands. Consider Minot when you plan your next hunting trip. Not only is the Minot area home to a variety of waterfowl and upland game, we’ve got plenty to do once you’ve bagged your limit. Our city continues to grow with new hotels and more dining options than ever before. And if you need to update your hunting gear, there are several shopping opportunities for sportsman as well including The Sportsmans Loft and Scheels Hunting & Fishing. Minot and the surrounding area has a reputation among outdoor adventurers that is legendary, from world-class walleye and perch fishing to unbeatable upland game, waterfowl and big game. We are right along one of North America’s primary corridors for waterfowl migration, making this one of the nation’s best places to hunt Canada Geese and Snow Geese. Minot is also located near plenty of stocked fisheries including Sakakawea, one of America’s largest man-made reservoirs and walleye angling hot spots. In Minot, two fishing piers are located at Roosevelt Park and one each at Riverside Park, the Water Treatment Plant and near the new Jack Hoeven Baseball Complex. 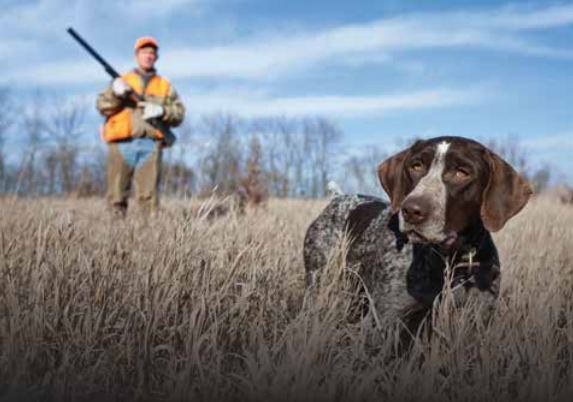 For more information on fisheries and public hunting lands, as well as licensing and regulations, visit North Dakota Game & Fish at www.gf.nd.gov.